I’ve got something to confess. 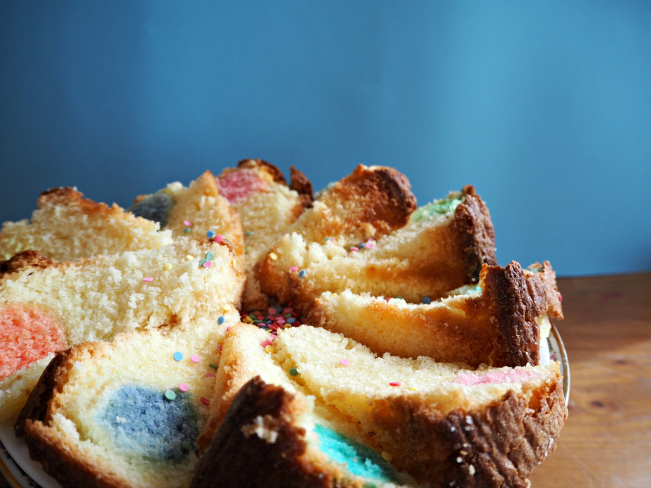 The cake in these pictures was my third attempt at making a surprise polka dot cake. Had I been able to find more people to eat cake, I would have tried again! The initial idea seemed easy. I’ve successfully baked surprise cakes before, like the Easter bunny cake or the checkers cake. 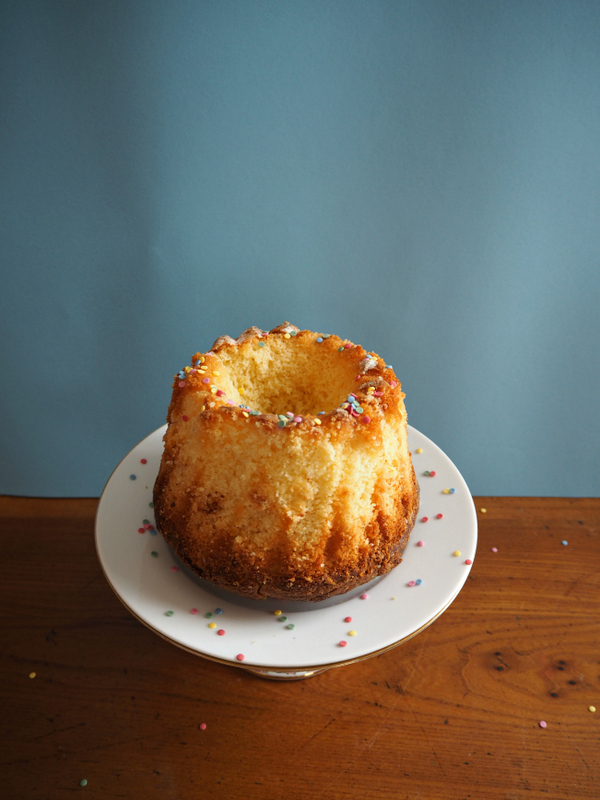 But, fool that I am, I decided to try a new victoria sponge recipe in a new bundt cake tin. With hindsight, this was a recipe… for disaster ;-). Indeed, so many things went wrong in the process: melting polka balls, cake that stubbornly refused to come out of the tin, polka balls that rose too much, and so on…Therefore, this cake might not be the best I’ve ever baked but I promise it’s the best of all three attempts for this recipe. N.B: It does taste nice, though. 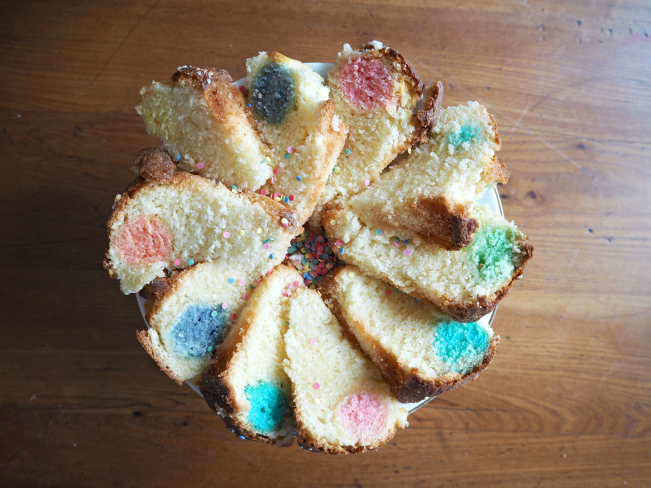 Anyway, I can assure you that if you don’t have a rubbish cake tin and if you follow the Easter bunny cake recipe, you should achieve a really nice looking surprise polka dot cake. Follow the recipe for the green tea sponge but remove the matcha green tea powder. You’ll need double the quantity, half for the polka balls, the rest for the cake batter. 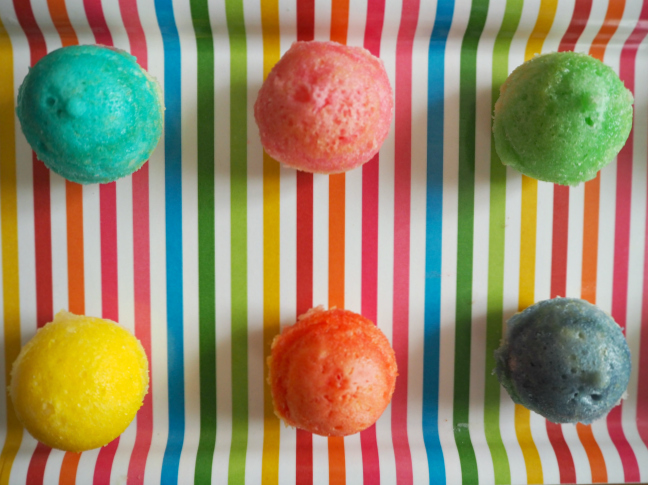 I made the balls using a pop cake tin but, if you don’t have one, you can use a muffin tray. 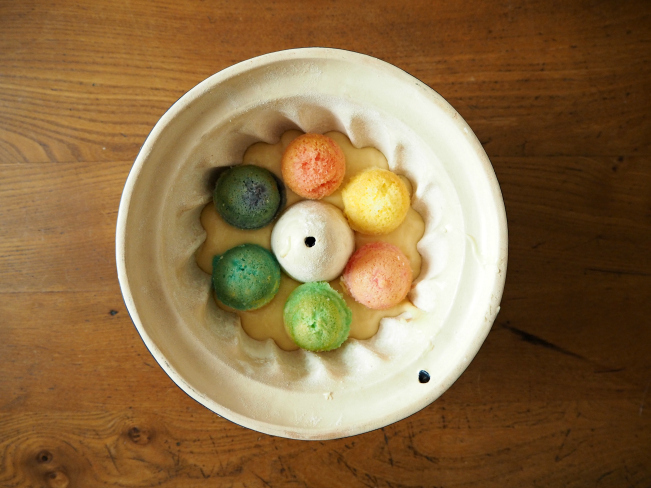 Just add some food colouring to the batter in each section of the muffin tray before baking for 15 minutes at 180°C. When baked, use a melon baller to make the polka balls (the more, the merrier). In a large cake tin, add some of the other half of the batter, place your baked polka balls on top before covering with the rest of the batter. Bake for an hour, or until a knife inserted in the middle comes out clean, at 180°C. 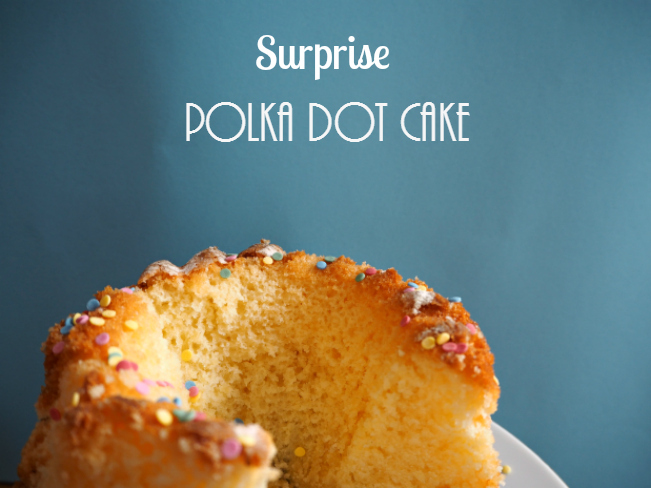 And, fingers crossed, you’ll end up with a (nice) surprise polka dot cake ;-).